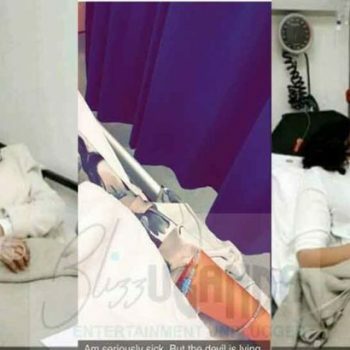 The self proclaimed “Boss Lady”, Ugandan socialite and African business lady Zari Hassan has been hospitalized over an undisclosed illness so severe that the doctors have placed her on intravenous treatment, due to intense headache and nausea. According to info we have got, the mother of five shared a picture on Snapchat that showed her lying on a hospital bed as she received a drip but however, she did not reveal what is ailing her. “I’m seriously sick, but the devil is lying,” She captioned the pictures. Lately Zari has been the subject of comparisons with Kenyan beauty Tanasha Donna who is currently dating her ex-boyfriend and father of her two kids Diamond Platnumz, and her younger new anonymous boyfriend. Zari dumped Diamond on on Valentine’s Day two years ago over claims of rampant infidelity.